These books captured my heart immediately. Not because they are beautiful picture books, but because they share colorful stories of deforestation and how it affects Giant Pandas, Polar Bears, and Snowy Leopards. Illustrator/authors Xuan Loc Xuan and Khoe Lee provide absolutely stunning images filled with bold colors and movement. Climate change, deforestation, and poaching are issues which are brought up, respectively, in a way that is subtle and educational. The books open up a conversation if the adult reader and child wish to further explore such themes. Otherwise, the books stand alone as action-packed and fantastical stories all the same. 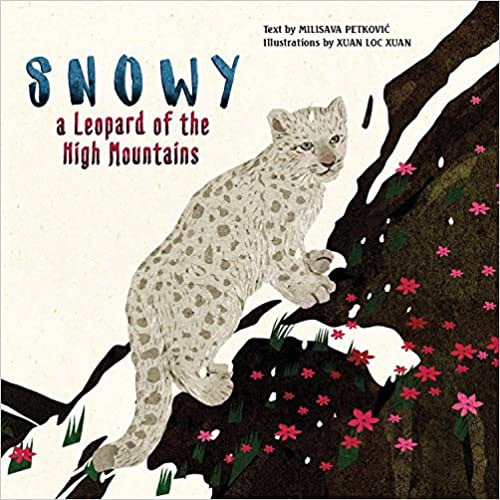 Snowy the Leopard of the High Mountains tells the compelling tale of a little cub who overcomes danger through friendship, patience, and courage. Snowy becomes separated from her mother as they run away from menacing fur hunters. Lost and lonely, the little leopard cub makes new forest friends who teach her all she needs to know to find her way back home. This beautiful book teaches respect for animals and nature and the illustrations from Xuna Loc Xuan brings a whole spectrum of emotions to the table. In a kid-friendly way, Snowy addresses the issue of poaching and the damaging impact it has on the endangered snow leopard. 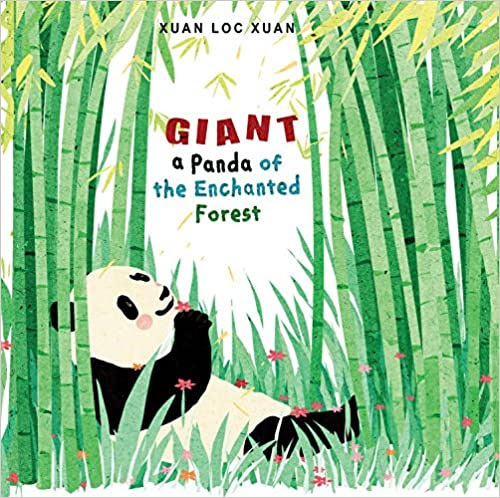 Giant: A Panda of the Enchanted Forest tells the story of Giant, a panda bear. Giant is lounging in the majestic Sichuan forest, chewing on his bamboo shoots. Suddenly a forest fire starts because people from the city are clear-burning the forest for development! Giant seeks help and tries to extinguish the fire, but everything seems lost. It will only be by the heroic sacrifices of Giant and his friends that the forest and its inhabitants are saved. This lovely hardcover book addresses the topic of deforestation and the tragic impact it has on animals. This book cleverly shares this issue in a gentle, yet impactful way, encouraging young readers to work towards a better future for the giant panda. 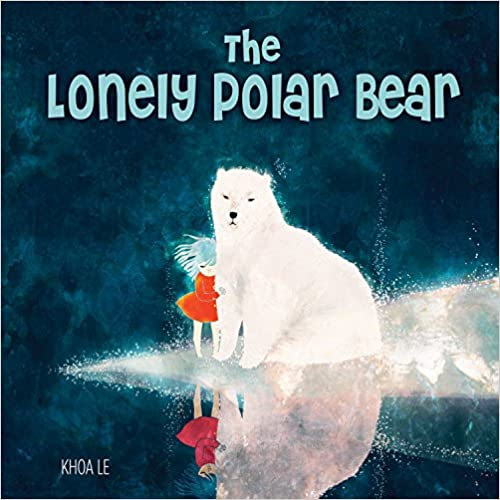 In The Lonely Polar Bear, a little polar bear wakes up alone after a furious storm. With his mother nowhere in sight, he makes friends with a mysterious little girl and various animal companions. All of the friends come together in the magnificent polar sky. In the end, the little bear sits peacefully, enjoying a winter day lit up by beautiful northern lights. Illustrated by the talented Vietnamese artist Koha Lee, this book is a whimsical story that subtly introduces the issue of climate change to young children. Giant-the Panda of the Enchanted Forest, Snowy-a Leopard of the High Mountains, and The Lonely Polar Bear are some of the newest releases from Happy Fox Books; a publishing house dedicated to creating beautiful books for children that are as entertaining as they are educational. 13 million hectares of forest have been cleared for other uses or by a natural disaster. By the year 2030, we might only have 10% of our forests left… and if we don’t stop deforestation, they could all be gone in 100 years. Are you curious why Rainforests are so important? TheWorldCounts.com explains why. Did you know that forests cover 31 percent of earth’s land surface and house a majority of the plants and animals found on earth? It is estimated that these diverse ecosystems house 80 percent of the world’s terrestrial biodiversity. Rainforests have especially high species density, covering 2 percent of earth’s surface, but housing nearly 50 percent of all plant and animal species. But deforestation doesn’t just hurt animals indigenous to the Rainforests. Read more here. With education, people can be taught the value of forests and the importance of caring for them and all life on planet earth. Being educated means to gather all the facts before making a decision. Sites like OneTreePlanted.org EarthDay.org and the ArborDayFoundation.org are working tirelessly on “reforestation” to combat the deforestation. Supporting these organizations (and others like them) and arming yourself with the facts I’ve given you will help you know how to make the right decision and be responsible for caring for the earth. Previous Post Weekend Links: A round-up of STEM and STEAM Books for Kids!